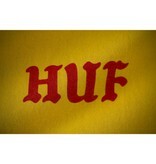 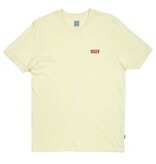 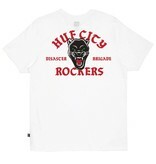 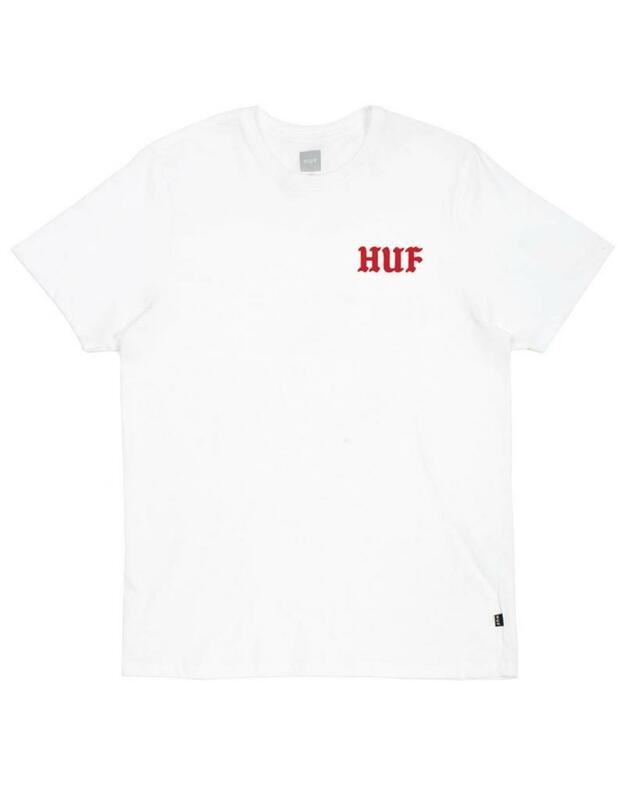 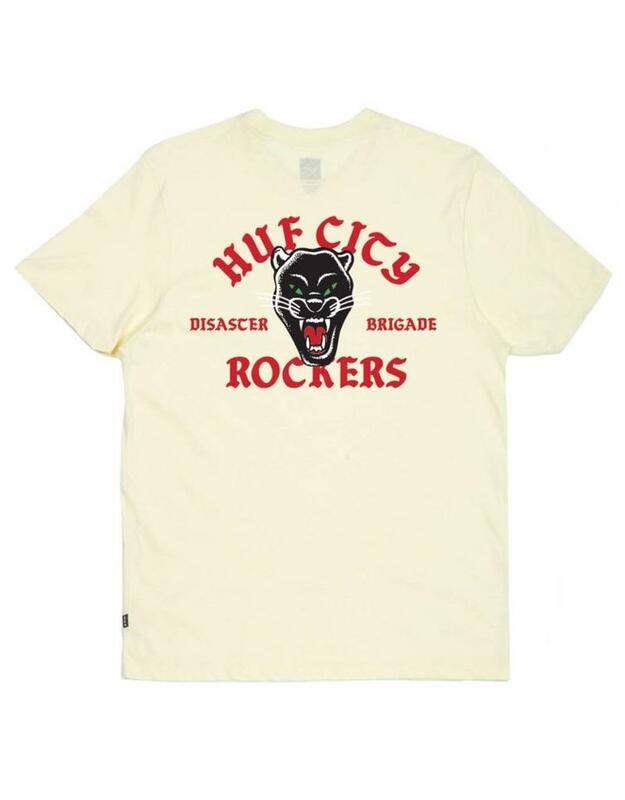 The Huf Disaster Brigade T-Shirt in white or yellow. 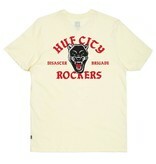 These are 100% cotton screen printed t-shirts with a front and back print. 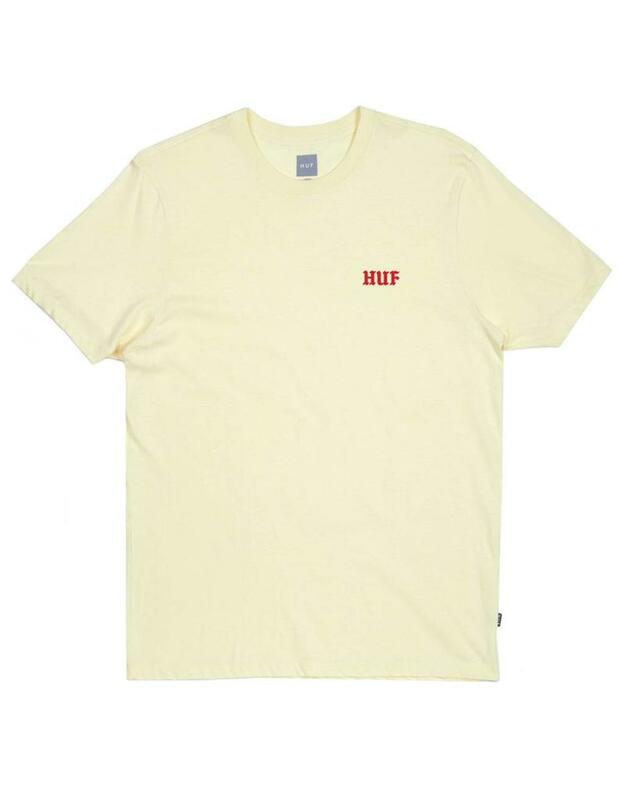 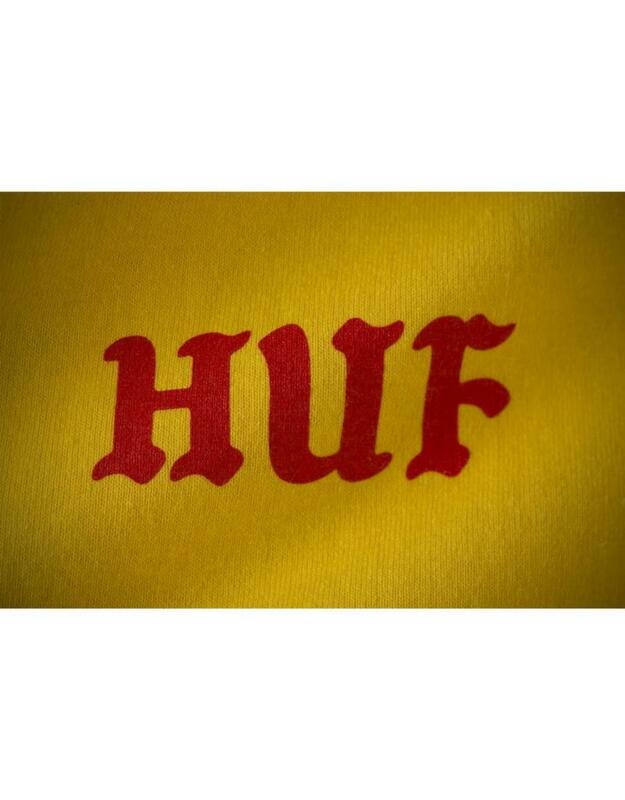 NOTE: The yellow is a darker yellow than in the first 2 images (it's a more primary yellow shown in the HUF closeup picture).